The arts were created from an appeal to freedom. There can be no general aesthetic that defines how that freedom must express itself. Movies offer a seductive example. Of all the major arts, cinema is the only one that was invented during the lifetime of some who are now living. From this perspective, Earle argues that filmmakers were far more inventive in their early days than now, when commercial film has settled into a realist routine with occasional and timid forays into the personal and imaginative.Earle suggests that unsympathetic readers should look again at the possible sources of film poetry, sources that have almost dried up in the flood of boredom experienced nightly in theaters throughout the world. 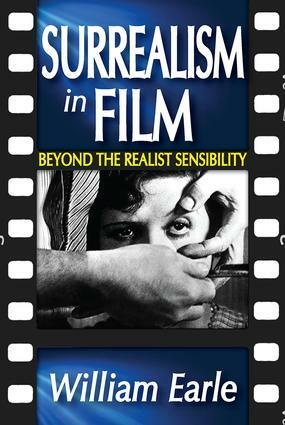 Surrealism in Film is largely a manifesto against realism; it ends in a clash of sensibilities. The book encourages new exploration of absolute poetry.The intention of these essays is to destroy the absolute authority of the realist sensibility. Within that sensibility is everything thought necessary to "sense": narrative plot, recognizable and nameable passions, continuity and integration within the film, a gist or moral for the whole affair, social commentary, and psychoanalytic depth-meanings. Earle argues for a self-critique that should be performed if movies are not to remain encapsulated within its own delusions. What Makes a Movie Move?